A comprehensive list of all short courses, certificate and diploma courses offered at Archdiocese of Nyeri Consolata Cathedral Institute. Fees varies per programme, for details on fees and account number concerning Archdiocese of Nyeri Consolata Cathedral Institute, kindly contact the admissions office. 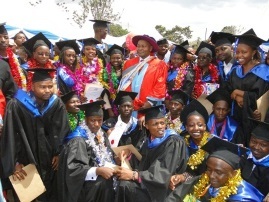 Archdiocese of Nyeri Little flower Institute- Fees, website, courses, intake, contacts. Dal-Rich College of Business Studies- Fees, website, courses, intake, contacts. Adaptive Business School- Fees, website, courses, intake, contacts.